In the education sector, it’s often necessary to shift bookcases, lockers, and desks all around schools, colleges and universities, and if you’re tasked with this job, it can be painstaking work. With ever-tightening health and safety legislation and often just one caretaker in charge of facilities management, it’s a difficult challenge to tackle. We offer tailor-made stair climbing solutions that are designed to make life for those handling school equipment easier. This is a highly portable powered stair climber that can lift up to 170kg at the touch of a button. It’s light enough to be carried, and can be folded down easily into a van or storage cupboard. This model climbs an impressive 48 steps per minute and features a removable battery. 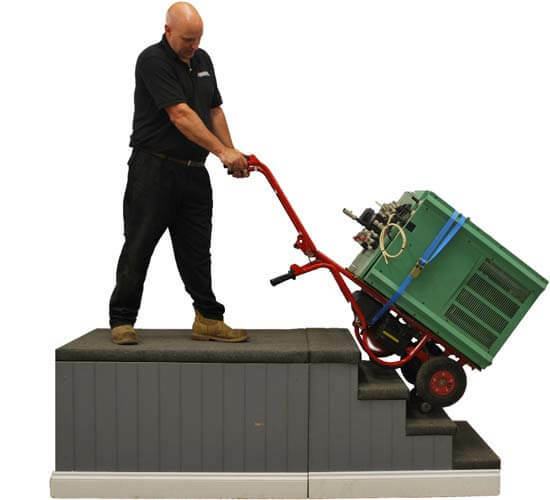 This high portable mid-level stair climber can carry an impressive 310kg. 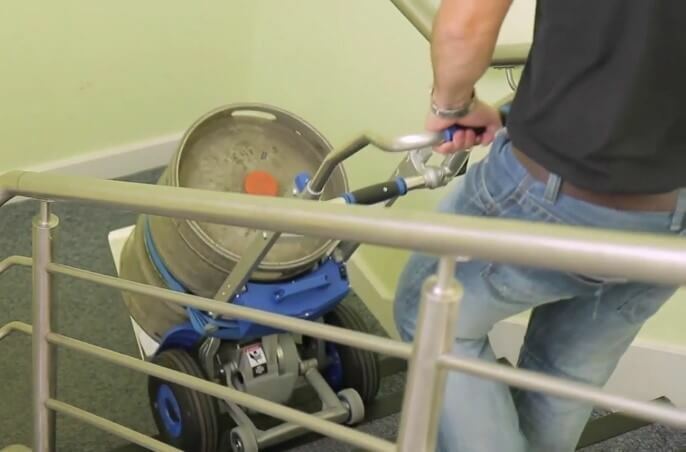 It is perfect for carrying large, heavy bookcases with relative ease, which are otherwise impossible to haul up and down stairs using a single operator.